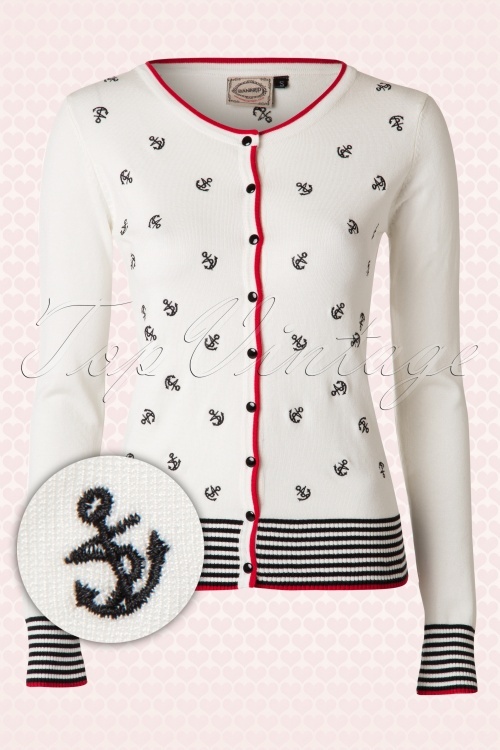 Feel like a real sailor girl when wearing this 50s Close Call Anchor Cardigan in Ivory by Banned! 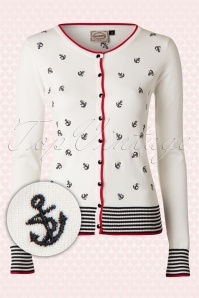 Playful cardi featuring an elegant round neckline, long sleeves and a stunning embroidered black anchor pattern for a nautical twist! 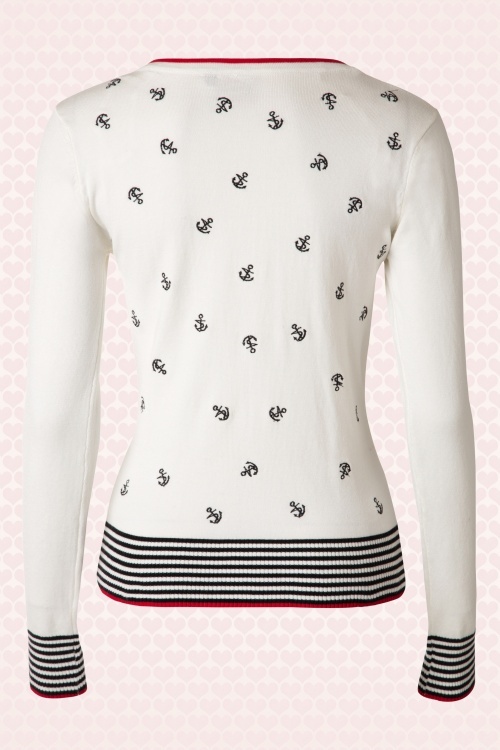 The black/white striped rib board along the sleeves and bottom don't just makes a beautiful detail but also ensure a perfect fit. Made from a lovely stretchy ivory coloured viscose blend and finished off with red trims. It closes by a row of cute black buttons. Ship ahooooy! super mooi vestje!! !Mooi kleurtje en leuke print mooi afgewerkt!!! 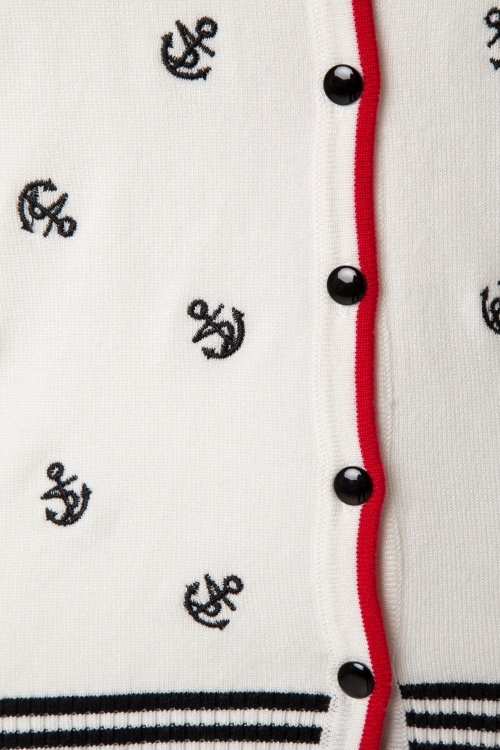 Leuke, speciale vest. Ziet er net iets anders uit dan een gewoon normaal vestje. Zit comfortabel aan. Lekker warm. Lange mouwen ook. Echt een goede kwaliteit! Zeer tevreden! Wirklich sehr schöne Jacke. Das Material ist super weich und angenehm zu tragen und die Stickereien sind dazu noch einwandfrei!